TOOL AND HARDWARE MANUALS AND WEB LINKS. If your browser does not already have the Acrobat Reader plug-in that is required to view these documents, click here to access a free copy of the software. IF YOU NEED A COPY OF THE ADOBE READER HERE IT IS. Powr-Kraft 10" Radial Arm Saw Model TPC-2610A, Wards, Works great, I just don't like Radial Arm Saws. I'll sell this for $100 if you come and get it. 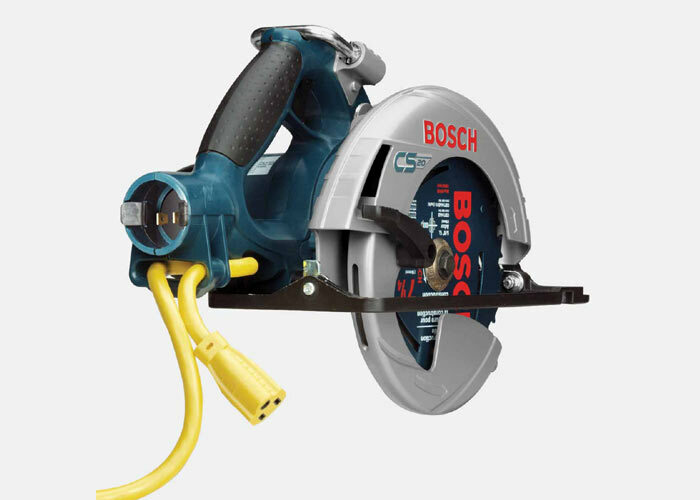 Bosch CS-20 Circular Saw, Model CS-20, Bosch, My best circular saw. Circular Saw Craftsman. What can I say, I use this with carborundum blades for cutting iron. 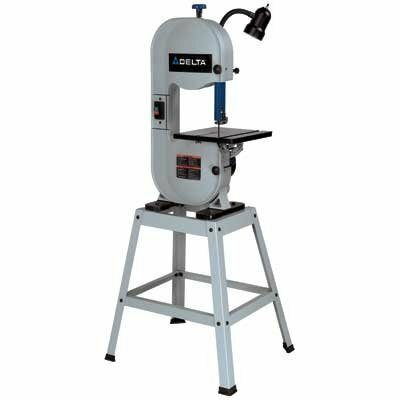 Delta 10" Bandsaw BS150LS Manual Blades Basic light 10" bandsaw. Small table. Good motor. Requires 72 1/2" blade. Maximum 1/2" width. Variable Speed Reciprocating Saw Model 04095, Harbor Freight Works great for demolition, a good price point for my usage and needs. I got a full set of blades at the same time. The blades nearly cost the same as the saw. 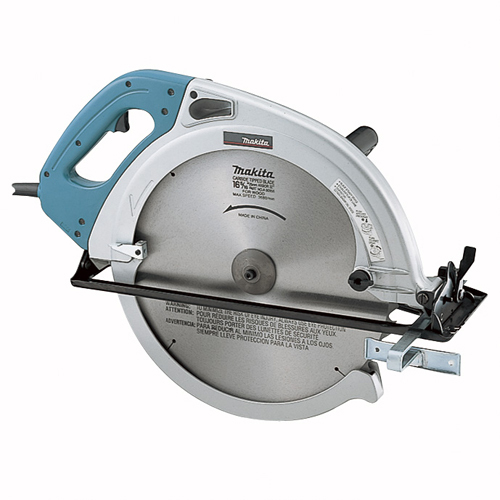 Makita 5402NA, 16-5/16" Circular Saw, Model 5402NA Parts, 5402NA Instructions, Makita Big and factory refurbished purchased through CPO Outlet. I got a clean cut crosscutting a cured dug fir 4 x 10 with the 32 tip blade. The safety switch must be modified to work safely. I cut a hard maple 1/2" plug and epoxied it on the safety switch making it 3/8" proud of the handle. This way I can work the safety switch with the thumb of the right hand the left hand can always keep a grip on the stabilization handle. This is a big saw and susceptible to gyroscopic motion. 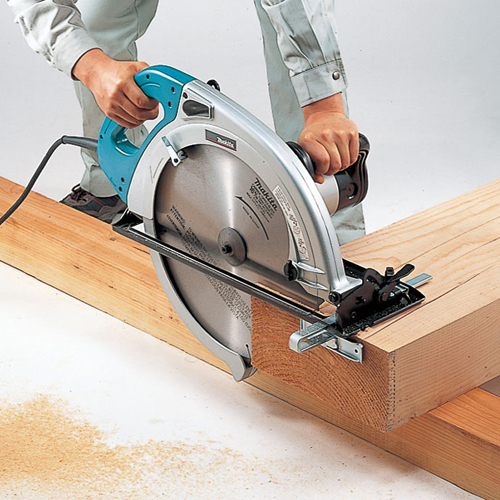 Checking on the web you will find conflicting information from Makita on the saw. Some places it says the arbor is 1" other places say its 25mm. Actually its both. The inner flange is reversible one side is 25mm and the other is 25.4mm or 1". Forrest, Saw Blade Tips, Forrest Saw Blades I love em. WW-II, WW_II Special Fast Rip. 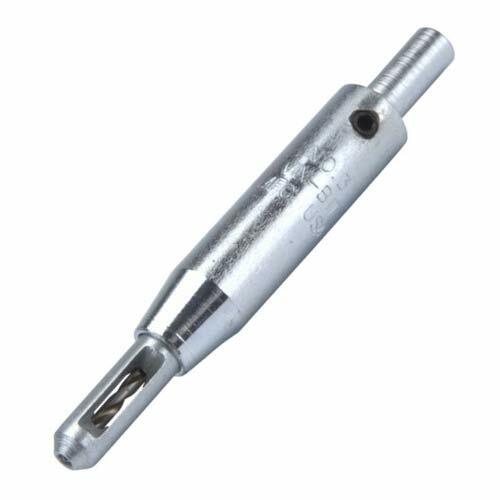 MJ Splitter MJ Steel Pro Splitter GRR-Ripper Micro Jig Inc These aftermarket splitters are indispensable as they are key in the safe operation of an old table saw like this Mao Shan. 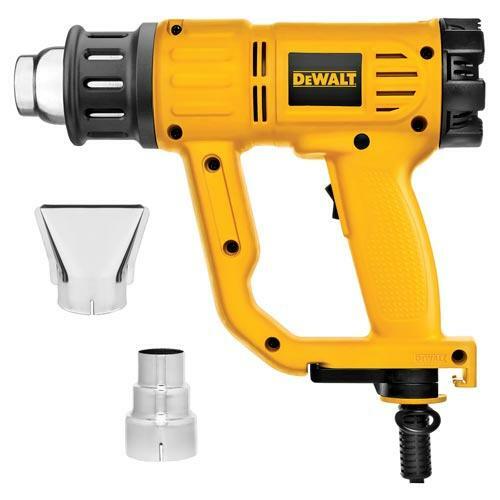 Single Dubby Cutoff Fixture, Dubby Setup Manual The best for accuracy and safety. I got two. 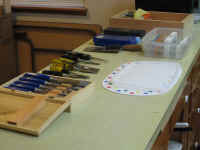 One is used with the dado blades. 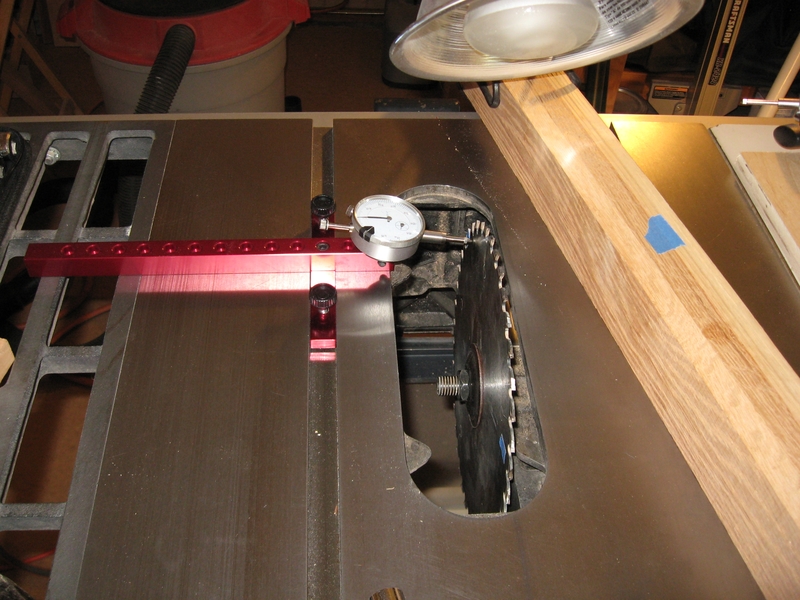 A-Line-It, A-Line-It in use, In-line Industries All saws need fine adjustments to work well. See Mao Shan Table Saw comments. 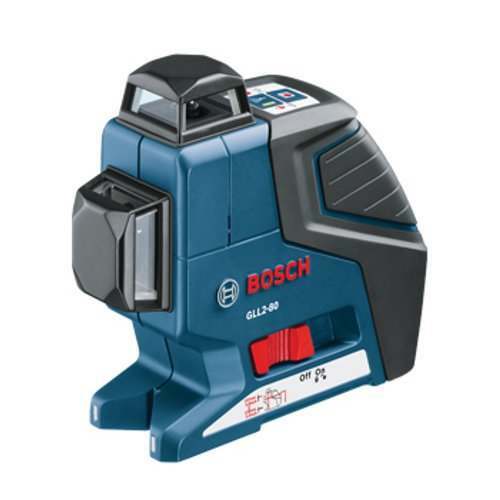 Bosch Bosch GLL2-80 Pic Really great tool. Aid in the installation of nearly anything. Without this I could not have installed the new cabinets in the kichen. 12", 24", & 5' levels. Kreg Pocket Hole Jig, Model R2, Kreg I could not do what I do without this. Ryobi Plate Joiner, Model, JM80, Ryobi I must edge glue smaller boards to make larger surfaces. I'm having a bit of a problem using the biscuits as a edge glue board face alignment tool especially when the boards have a small curve. After two dozen test cuts I did the first four drawers, I withheld judgment about the jig as the tops and bottoms of the drawers did not line up so they would not sit flat. I had to do a lot of sanding. This is important as the box must sit flat in order for the groove for the drawer bottom to line up as the bottom is the registration face for routing the grooves. I'm now making nine more drawers. Before I started I went to Porter Cable's web site and asked for help with the alignment problem. Their suggestions weren't helpful but I am really liking them for even having this service! I went to the local Woodcraft store where I purchased this jig. These guys all do woodworking. Eli knew exactly what the problem was the minute I explained the problem I was having. These guys are good. Now the jig works well if the router bit has been centered in the plate first. No wonder the Porter Cable Help Desk Could not help. I did send Jeff at Porter Cable an email letting him know the solution for the next guy. 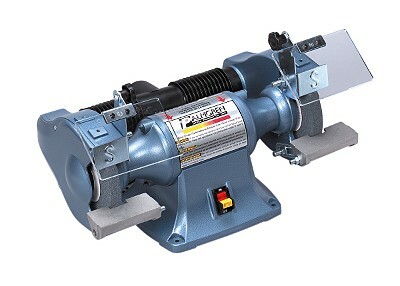 I now use the $6.00 Rousseau Co. #39-024 Centering System. 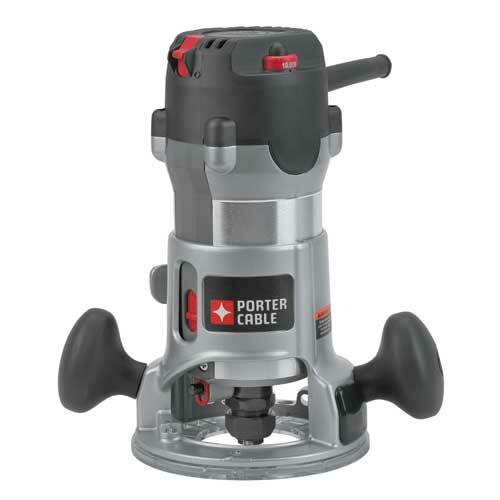 Works with Porter Cable Models: 100, 563, 63,0 690, 691, 693, 7529, 890, 892. The only problem I have with the Rousseau, and a minor one at that, is that it uses the 1/4" collet and I have to change the collet back to the 1/2" after centering. This probably reintroduces some centering error back into the setting. I am considering getting the: 77248, 77246, 55165, to increase what I can do with this jig. Chicago 3-1/4" Electric Planer Model 90162, Harbor Freight Works great. I ordered a lot of extra blades too. Only problem is the minimum cut setting is not as minimal as I would like. 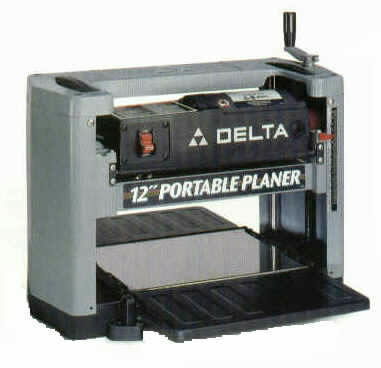 Delta 12" Portable Planer, Model 22-540, Delta It's a hand me down. I'm looking to upgrade. I use it anyway. Works fine except I can't get the cutter parallel with the base and the snipe. Did I mention I hate snipe! 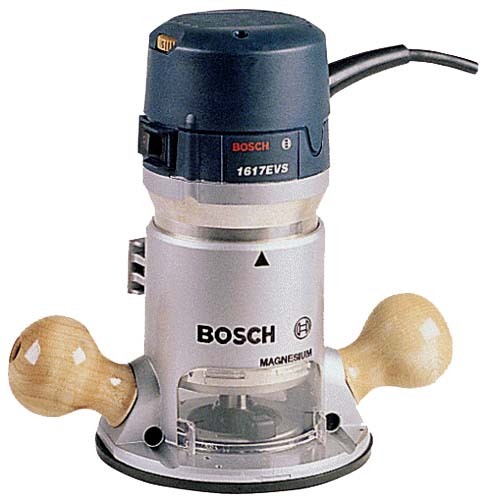 Bosch Router, Model 1617EVS, Parts Diagram, Bosch Great work horse It's my second Bosch. Use 'em until they burn out then get another one. Skil Router Model 297, Skil Tools Old hand me down. Still works well I use it all the time. 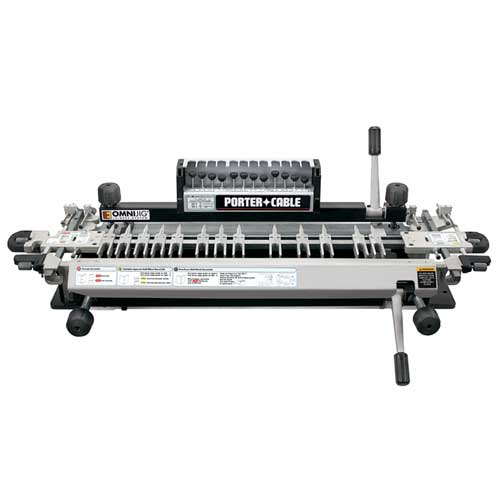 Porter Cable 892 Router, Specifications, Drawings and Parts, Porter Cable This is used with the Omnijig. 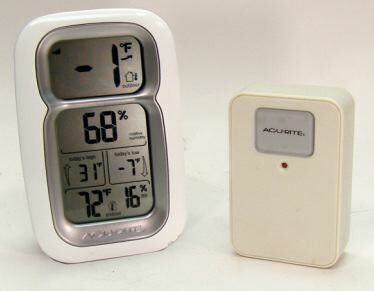 Timber Check Moisture Meter, Model, ComProTec Great for what my needs are. The probes do make holes in the wood as we are interested in knowing the moisture content inside the wood not on the the surface It's imperative to know the moisture content of the wood and the relative humidity of the environment when doing woodworking. Atlas 6" Lathe Mk 2, Model 3950 Mk 2, Atlas, Atlas Picture, Sears 101.21200: A real classic. 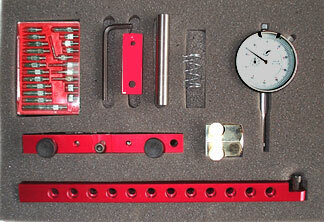 Complete set of parts in original boxes. Maybe this will show up on Antiques Road Show someday. Earlex HVLP, Model 5000, Earlex Works real well. I use two cups, one with the finish and one with thinner. I spray the finish, then change cups and spray thinner through for a few seconds into my waste box to clean out the gun. Before I add another coat, I spray through the thinner for a few seconds and change cups,then spray the finish for a few seconds into the waste box before I start applying the finish on the surface. This reduces the amount of cleaning to do. 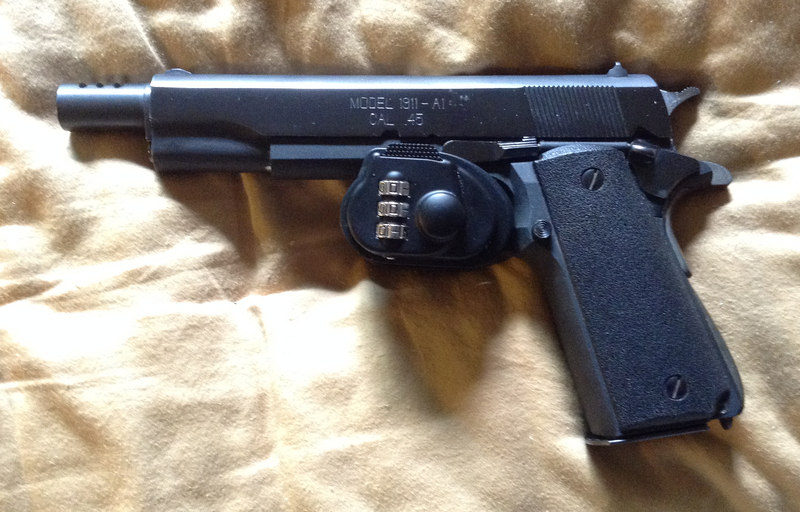 It doesn't take much buildup in the gun to affect its operation. The gun is very easy to strip and clean. Don't forget to clean the filter under the turbine frequently. This HVLP system works real well for my application. Wagner Model 305 1800 PSI 2 Speed, Works OK for latex. Wagner I painted the porch with it. Not the best by far and its hard to clean. With a little Flotrol it sprays medium viscosity latex. Don't buy anything like this. 3M 5000 Elastomeric Facepiece Half-Mask with dual 3M 60921 Filter Filter Instructions. 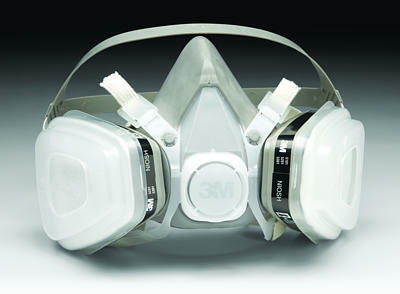 3M 3M Reusable Respirators. I use this when spraying. Don't even think you can spray without a proper spray mask. Aearo Woodworkers Respirator, Retrofit, Aearo AOS Works real well. 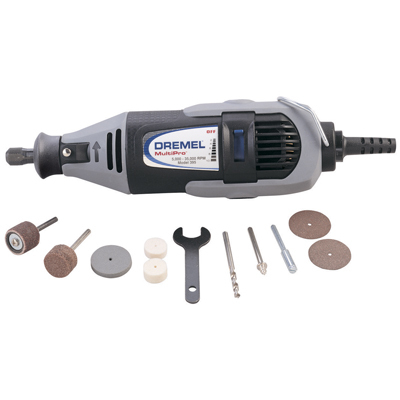 I use this when sanding and sawing. Accura Dust Control, Under powered for fine dust collection. 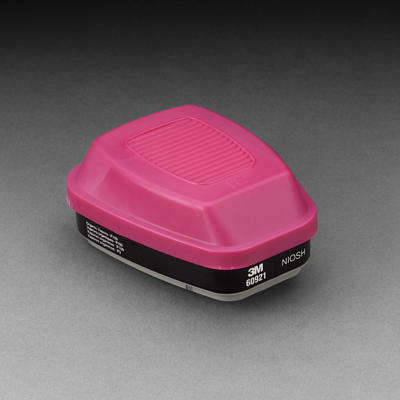 Mr Heater Tank-Top Heater Model MH15T I use this to pre heat areas I will be working in. 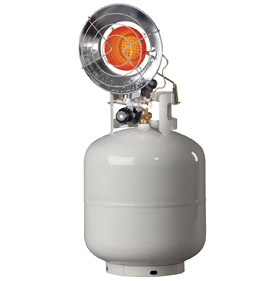 Don't use burners in an enclosed space as they exhaust carbon monoxide. 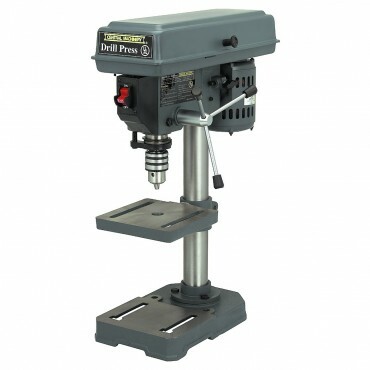 Continental International Heavy Duty Drill Press, 12 Speed, Ser # G1085, Works real well. No rust. Good condition. 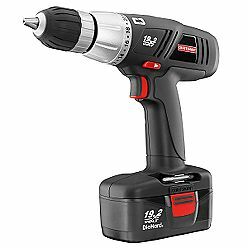 Craftsman 19.2V Drill Driver, 19.2 V Right Angle Drill Driver, Specifications, Sears Works real well. Drill Drawers & Miscellaneous Hardware. 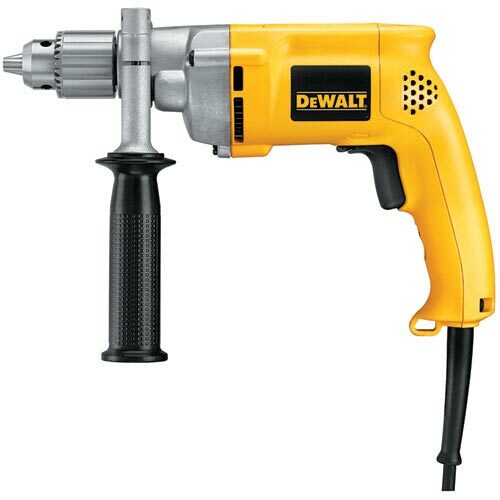 Get a grip for a good screw driver. 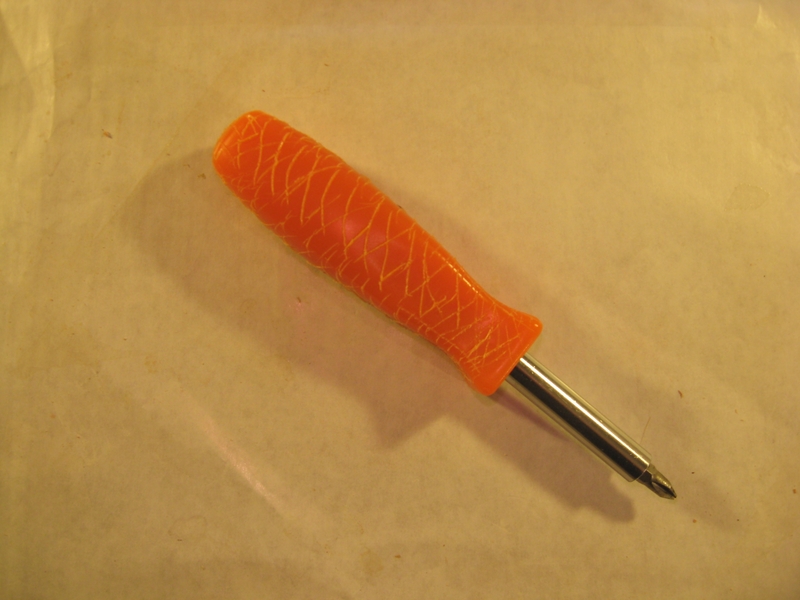 Who thinks a smooth plastic handle will work in the real world? Lang Tools Snap Ring Quick Switch Pliers SKU 1435 These pliers solved all my snap ring problems. 1/3 Sheet Random Sander Craftsman. New Model No. 17211702 The old 1/3 sheet fried. So how long (2013) will this one last? SOG, Sogwinder-1, While this knife isn't a "shop tool" I use it all the time. Usually to remove staples as it has a dagger point. SOG, Tomcat-3 Never leaves the house and never used in the shop. 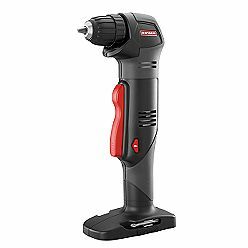 Sturtevant Richmont Adjustable Torque Screwdriver CAL 36/4 I got this on Ebay. After a little clean-up, this tool is real fine.